Versatile and Effective Point-of-Use standard carbon filtration system fits easily under a kitchen or bathroom sink to provide great tasting drinking water. 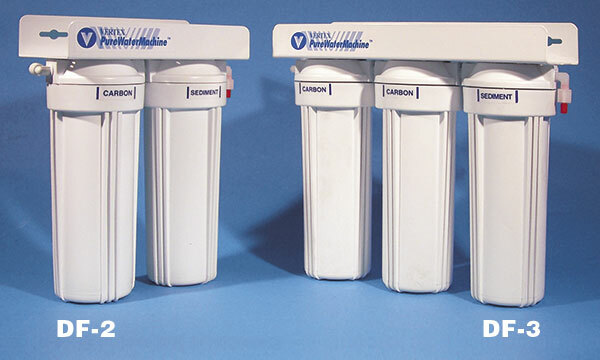 A low-cost Vertex standard carbon filtration system fits easily under a kitchen or bathroom sink to provide great tasting drinking water. The first stage sediment filter removes particles such as sand and rust as small as 5-microns. The second-stage activated-carbon filter eliminates chlorine taste and odor. 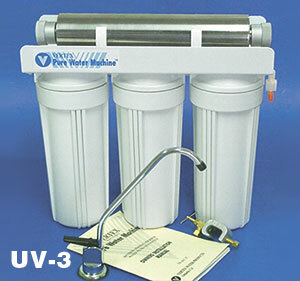 A three stage model is also available with an extra carbon block filter to extend the filter life. Ultraviolet (UV) can be added on both models to provide Point-of-Use sterilization. 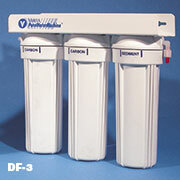 They are simple to service and easy to maintain using VERTEX replacement filter cartridges. Comes with a long reach clean water faucet, feed water connection, tubing and instructions.